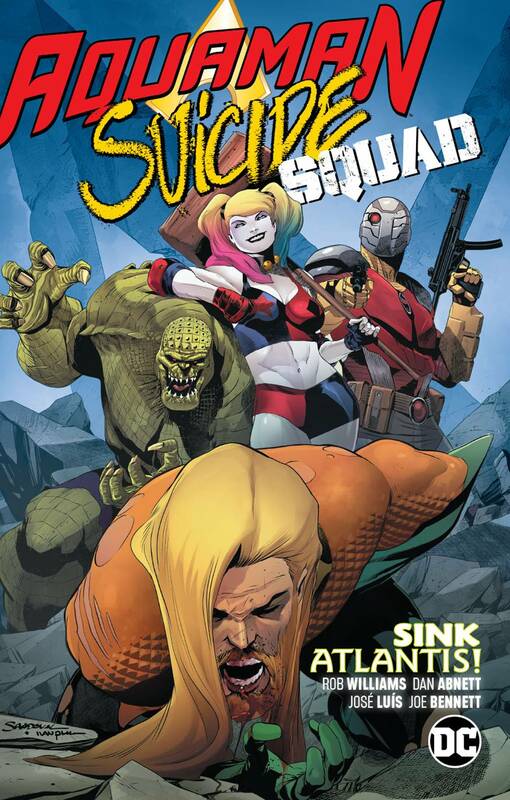 After Aquaman's undersea kingdom rises to become a world power of the surface, the Suicide Squad must infiltrate the city and send it back to the depths or die trying. The epic crossover event is collected here in these stories from Aquaman #39-40 and Suicide Squad #45-46.. Copyright © 2019 Current Comics Monterey Ltd.